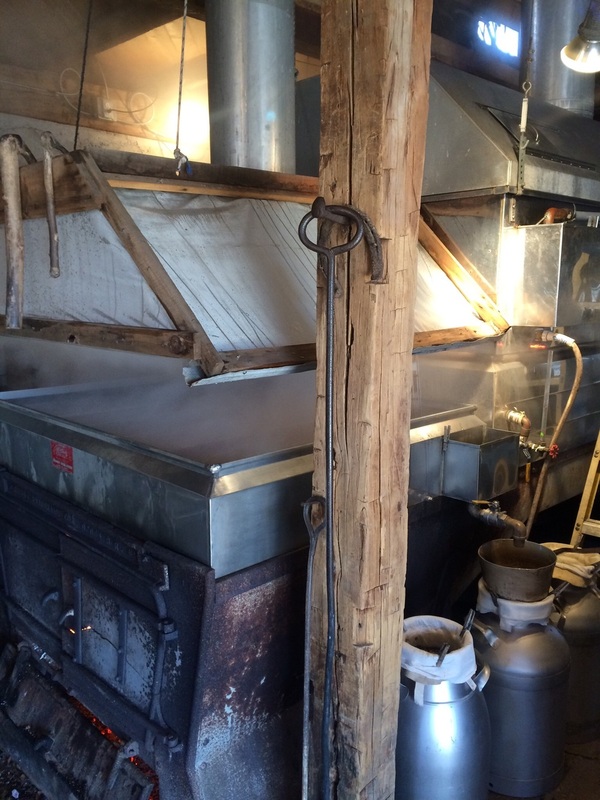 Below is a photo of "sheeting", which is one simple method of checking if syrup is ready to be drawn off the pans. If the syrup still has too much water content, it will form droplets instead of the sheet, meaning it needs to boil longer. Since we started boiling a few days ago, you can stop by and see for yourself! Contact us to see what's going on. 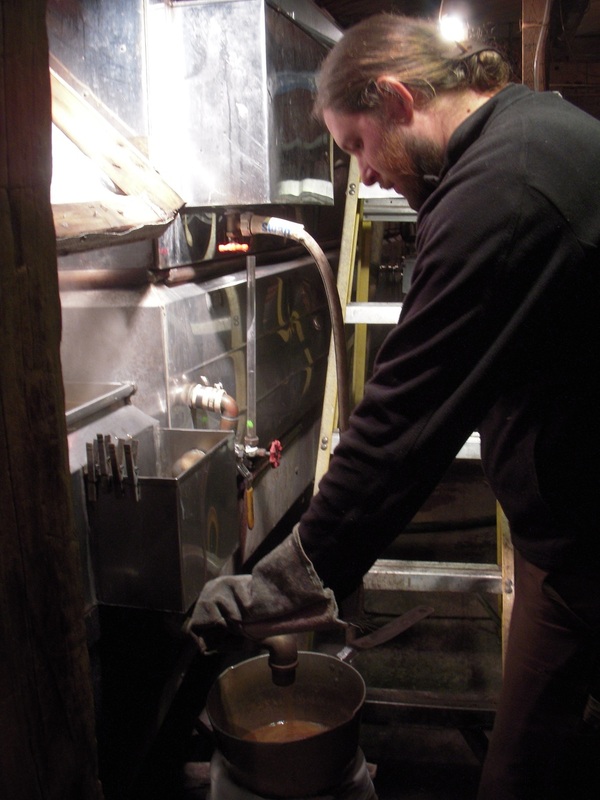 ...tapping the trees means syrup season is almost here!